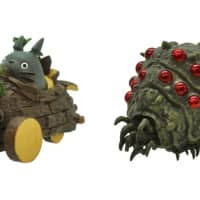 If you’re still wound up about Studio Ghibli more-or-less leaving the animation industry, there are some new toys that may help ease the pain. Toy company Nibariki has a new “pullback collection” of figurines that will race forward when wound up. Certain items are downright adorable while others are just creepy crawlers. On the cute side, Nibariki has three “My Neighbor Totoro” vehicles, including the blue vehicle that Mei and Satsuki cling to during moving day, and the city bus their father takes to work. (Sorry, no Catbus though.) 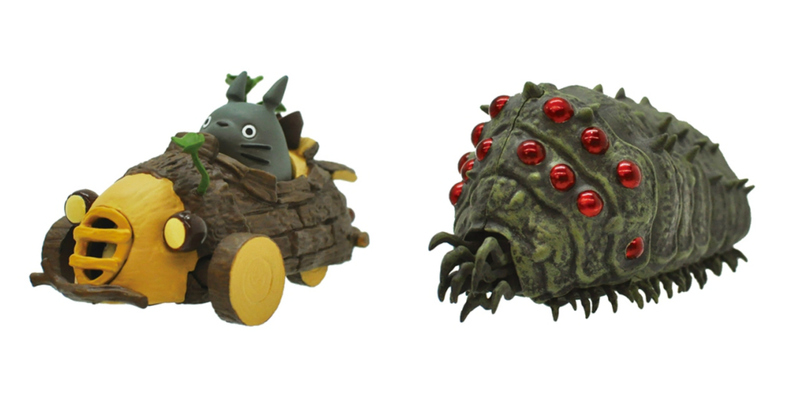 There is also a wooden buggy made from a tree that’s driven by a Totoro. On the gross side, there are the huge worm monsters from “Nausicaä of the Valley of the Wind” that roll with such realistic movements that it may bug you out. And just like in the movie, the red-eyed beasts will dart forward while blue-eyed ones go at a much slower speed. All items are available on Ensky Shop’s website and cost ¥2,300, making the perfect stocking stuffer this season for your anime-loving friends.